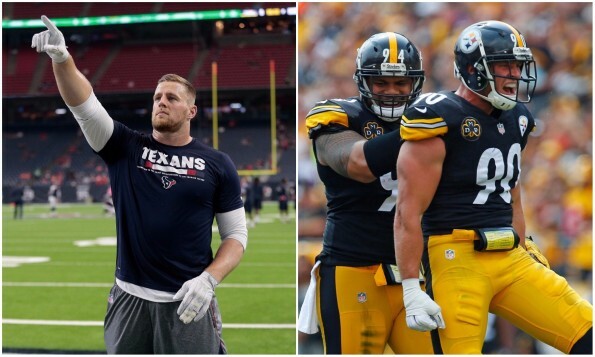 I can tell you what Houston Texans star defensive end J.J. Watt is thankful for: The fact that he’s not the dumbest one in the family, thanks to his brother, Steelers rookie linebacker T.J. Watt. And as for T.J., well, apparently he’s thankful for his brother J.J., who has helped him avoid being labeled as the ugliest child in the family. The two brothers took some time out of their morning today to remind each other of these very things they’re thankful for, and it was pretty hilarious.